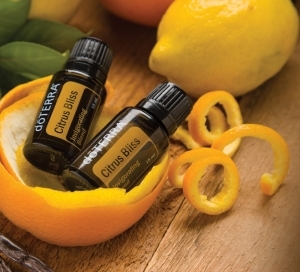 We Love Essential Oils - CITRUS BLISS, how and for what use do I use it? In this mixture of essential oils, essential oils of citrus fruits, which enhance mood, have a wonderful aroma and are a great tool for cleaning. I can use ethereal oils for this, but about something more in one of the future blogs. - The greener aroma of Citrus Bliss adds sweet aroma to your home, car and even your clothes. If your laundry ever smells of moist because you have left it for a long time in a washing machine, add two or three drops of oil on a drying sheet or on woolen balls before putting it in a tumble dryer. This will give your laundry a refreshing, sweet smell. - Due to its composition, Citrus bliss positively affects mood, giving us momentum and positive feelings. Regardless of whether you were stressed, you were in the job of hunting hands for the task you requested, or whether you felt in the sense that today is not your day, it's not important, spray the Citrus Bliss in the diffuser and raise your mood. When you need something to "lift" you and reduce stress, use this oil. - If you want to revive your mood and start the day well, then apply this oil on the soles of the morning. This is extremely important when we have ahead a stressful day full of obligations, as it helps you to achieve the set goals. - When you want to improve your focus and clarity, use the Citrus Bliss together with the lavender and peppermint. Take a drop of each oil on your palm, swing your palms, take them to your nose and take a deep breath, spread to your neck, and continue working, learning, or doing what you've been doing. - As I mentioned earlier in the introduction, this oil is also suitable for cleaning the house, apartment, office, car ... You can put a few drops of Citrus bliss on a cloth and wipe dust on shelves, cabinets, work surfaces, wherever you want. By doing this you will enter a refreshing smell in your environment. Use it in the kitchen, when you have strong odors after cooking, as it neutralizes odors, you can also use it in some kind of divided teenage room 😊. - If it's important for you not to use products with chemicals or synthetic ingredients found in commercial perfumes and lotions, use Citrus Bliss in the body cream (Hand and Body Lotion), as it gives the skin a happy and bright smell. When you go to work, to a meeting or a date, put a drop of oil on your wrist and rub both wrists together so you will get a wonderful, natural perfume without synthetic ingredients and toxins. You can use essential oils in as many ways as you like, so leave your imagination free and use the oils you use at home. Sensitivity of the skin is possible, so make a hypersensitive test before applying it to the skin. Essential oils should always be diluted with base oil before applying them to the skin. Keep it out of the reach of children. If you are pregnant, breast-feeding or under medical supervision, consult your doctor. Avoid contact with the eyes, the inside of the ears and sensitive areas. Avoid sunlight or UV rays up to 12 hours after using the product (as it contains citrus oils that are phototoxic).